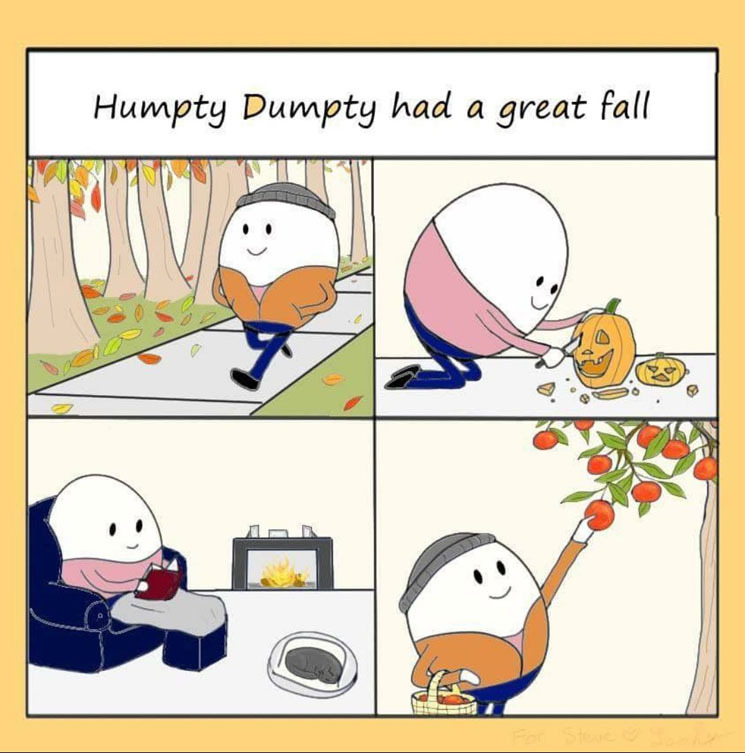 The FBI selectively investigates proof, a man asks another about his boof, a quality Humpty Dumpty spoof, Anne T. Donahue's timely American Horror Story goof, and much more from this week in funny tweets. Today a red traffic light stopped me and to defeat it I yelled "I WENT TO YALE." Excited for Spielberg's take on "West Side Story" in which you don't see the Sharks for the first hour. This is a scary time for young men who commit sexual assault and want to get away with it. Friend: Look, I know you're disappointed, but we should at least have one drink. Me: *wearing flippers, a wetsuit and a snorkle* I'd like to leave, please. Look, I love Conan O'Brien. And I'm sure his podcast will be great. But with all of my heart I hope that Jay Leno figures out a way to steal it from him. His Alma Mater, Yale, has rejected Kav. The church has rejected him. Native Americans have rejected him. The racist, misogynist @GOP is all Kav has left. Me: Yes that was my idea!